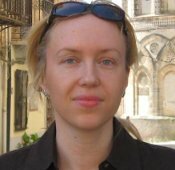 Malgorzata Dragan, Ph.D., is an assistant professor at the Faculty of Psychology, University of Warsaw, Poland. She works at the Department of Child Clinical Psychology and Family Disturbances. Malgorzata Dragan’s research is primarily focused on the co-morbidity between exposure to trauma, posttraumatic stress disorder (PTSD) and alcohol-use disorders. Her current interests focus on symptoms of complex PTSD in alcohol abusing women. She has also conducted studies exploring relationship between temperament, anxiety and metacognition, and the role of childhood adversities in the context of conditions of the cognitive-attentional syndrome. She participated in the project of intercultural comparisons of childhood adversities occurrence (Germany, Poland). She also runs the adaptation process of several questionnaires, mainly associated with measurement of posttraumatic symptomatology. She was awarded a scholarship from the Foundation for Polish Science. Malgorzata Dragan is a member of the European and Polish Societies for Traumatic Stress Studies, the Polish Association for Cognitive and Behavioral Therapies and the Polish Psychological Association. She also works as a therapists, currently mainly with couples, using integrative-behavioral approach. She teaches and gives lectures on traumatic stress, domestic violence, family disturbances and cognitive-behavioral therapy, and supervises several M.D. students. She published several book chapters and articles in international and Polish journals. ‹ Acceptance of suicide in Moscow	› Debora Ganz, Ph.D.